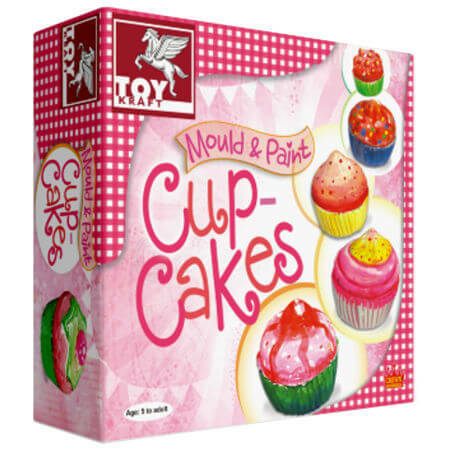 Craft Mould & Paint Cup Cakes is a yummy creative toy which enables you to mould and paint 6 x delicious little cakes. Just choose your moulds and fill with Plaster of Paris let them set. When dry take them from the moulds and paint them in whatever tasty ways you want. We like this because: "Easy to make some very realistic looking cakes."